Thank to board member UltraAlanMagnus for letting us know that the official TakaraTomy YouTube channel has uploaded episode 21 of Transformers Adventure titled “The Thief with the Devil’s Hands” (忍びよる魔の手). Enjoy the show and watch Team Bumblebee go on another adventure in the Japanese episode below, then let us know what you think after the break. The post Transformers Adventure Episode 21 Now on YouTube appeared first on Transformer World 2005 - TFW2005.COM. Botcon.com has updated with their official brochure for the 2016 convention. We now have details for the weekend including a breakdown of the toy sets and activities. The cost of the Primus package is now $399 if you are a club member, or $499 if not. Be sure to read the brochure for information on restrictions on what can be sold at room sales. Check out all the details in the PDF here: Botcon 2016 Brochure and feel free to join the discussion on the forums by hitting discuss below! 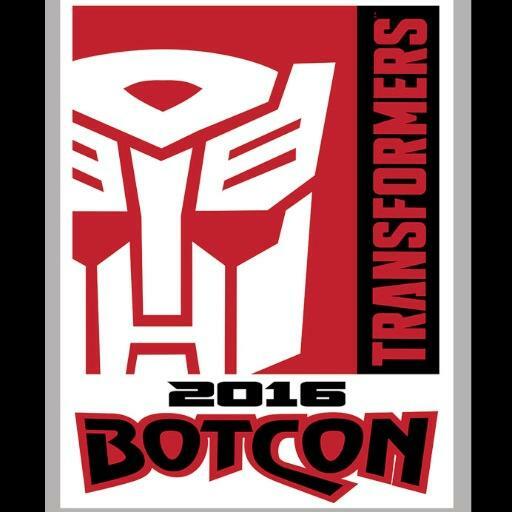 The post Botcon 2016 Brochure Is Online appeared first on Transformer World 2005 - TFW2005.COM. A couple of months back we saw preorder listings crop up for new waves of Robots In Disguise Mini-Cons (wave 3) and One Step Changers (wave 8). Today we are happy to report new in-package images of these figures as their status has changed to “in stock” at Entertainment Earth, meaning we should be seeing them release at retail shortly. The new Mini-Cons wave features Decepticon Hammer, Swelter, Blizzard Strike Slipstream, and Decepticon Forth. The new One Step Changers wave features Quillfire, Springload, Bumblebee (with new tooling) and Sideswipe (also with new tooling), Grimlock, and Fracture. Check out the new images after » Continue Reading. 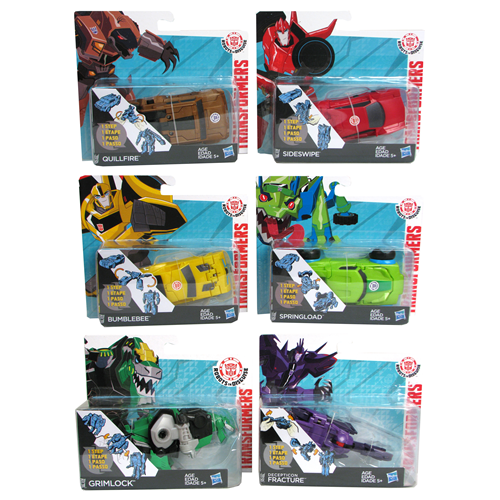 The post Robots In Disguise Mini-Cons and One Step Changers New In-package Images appeared first on Transformer World 2005 - TFW2005.COM. Mastermind Creations uploaded several new images of their Seraphicus Prominon prototype figure to their Facebook page earlier today. The new set of images shows of Seraphicus Prominon (designed to homage Nova Prime) in both alternate mode and robot mode. 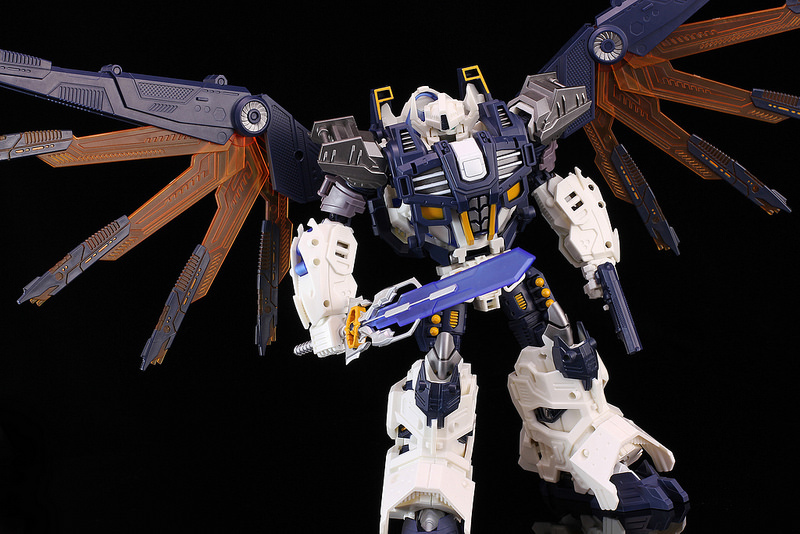 TFW2005 member unicron nemesis also has provided a shot of Seraphicus Prominon with wings fully extended; needless to say this robot commands attention! Since this is a testshot, expect to see plenty more images as we get further along in the process, so keep your eyes locked on the thread linked below. Staff Edit – Preorders are starting to open up! There will be » Continue Reading. The post Mastermind Creations Seraphicus Prominon Color Testshot Images appeared first on Transformer World 2005 - TFW2005.COM. 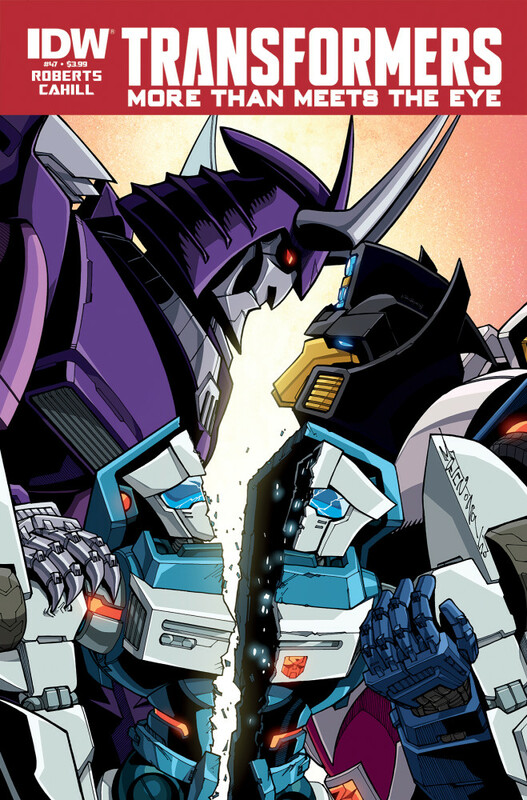 iTunes has just uploaded a three page preview for issue #47 of More Than Meets The Eye! Coming off a very impressive #46 issue, MTMTE looks to continue its excellent stretch as we head closer to issue #50, which in today’s comic book world is quite the achievement. Enjoy the preview after the jump and share you thoughts in the discussion thread. The post More Than Meets The Eye #47 Three Page Preview appeared first on Transformer World 2005 - TFW2005.COM. 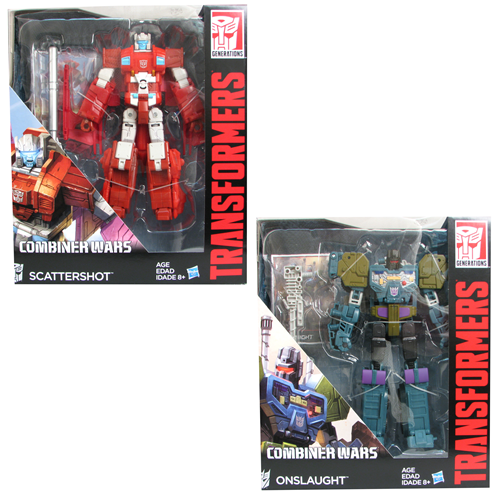 Good news for those collectors itching for more Combiner Wars figures, a new in-package image of Combiner Wars Scattershot and Onslaught has been found! These two Voyager Class figures are redecos / retools of the Silverbolt and Hot Spot mold and should be seeing a full release later this month, along with the new deluxe wave featuring Blast Off, Brawl, Vortex, and Swindle. Be on the lookout for more images as we get further into November. The post Combiner Wars Scattershot and Onslaught In-Package Image appeared first on Transformer World 2005 - TFW2005.COM. Transformers: Robots In Disguise Mobile Game can be a wealth of information when it comes to upcoming RID Toys by Hasbro and characters from the show. With the recent update (version 1.4) it so happens that a new character is revealed. Named as Crazybolt, this is a new Mini-Con Deployer like Drift and Fracture. Storyboard Artists Brandon Kruse has posted several storyboard sketches titled Transformers RID 204 (by TV Series Standards it means Season 2 Episode 4) featuring the newly discovered Crazybolt. It’s hard to determine who is the Mini-Con partner but it sort of looks like Major » Continue Reading. The post Transformers: Robots In Disguise Season 2 Episode 4 To Feature Crazybolt And The Mini-Cons appeared first on Transformer World 2005 - TFW2005.COM. Third party group Omnigonix has revealed new color images of their Spinout figure. This figure is designed to fit along side your Masterpiece figures, which itself is a Masterpiece inspired homage to Sunstreaker. 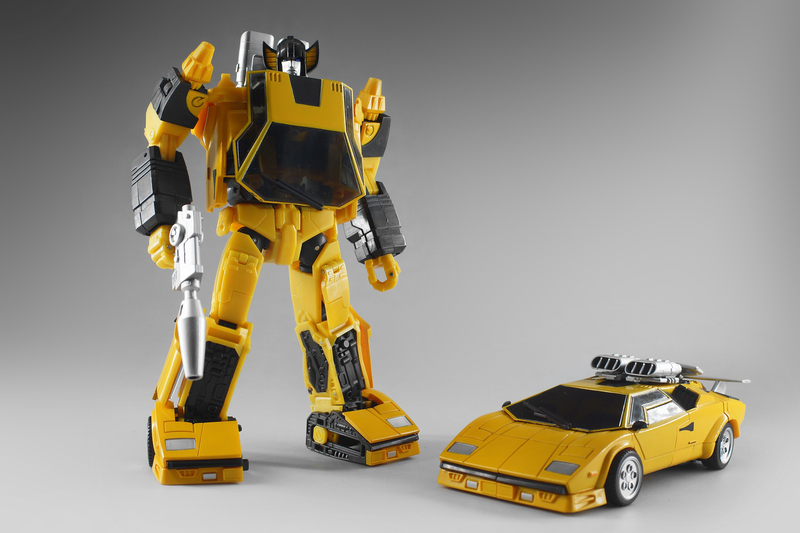 In the new images, coming after a lengthy delay, provides comparison shots of Spinout next to official Masterpiece figures including Sunstreaker’s brother Sideswipe. The original release for this product was November 2015. The new images appear to be final product shots, so we may just hit that schedule! Check out the new images after the jump. The post Omnigonix Spinout New Color Images appeared first on Transformer World 2005 - TFW2005.COM. An interesting bit of trademark news has been provided by Transformers At The Moon: Hasbro has filed trademark applications for “Cybertron Con”, which you’ll recognize as the name of the officially licensed Asian Transformers convention. Hasbro has also filed “Cybertron Con” in the European trademark office and the UK trademark office. As usual with trademark filing, it’s not clear why Hasbro has submitted this one. It could be to protect the brand as the global awareness continues to rise, both officially and unofficially, or Hasbro has bigger plans and are covering their bases. Either way, we can start speculating and get the » Continue Reading. The post Hasbro Files US Trademark Applications for Cybertron Con appeared first on Transformer World 2005 - TFW2005.COM. We have a happy news for the Sri Lankan Transformers Fans. It’s very rare to hear a Transformers related news from the country even though the Michael Bay Transformers Live Action Movies are the highest grossing movies in the country’s history. 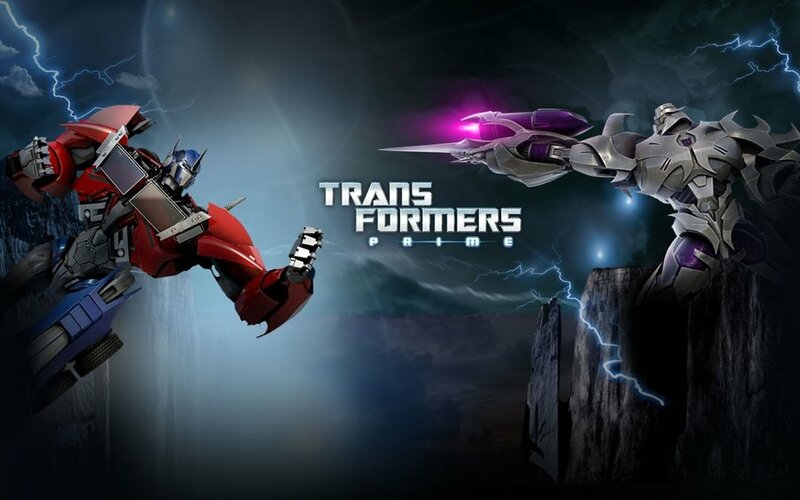 Transformers: Prime (ට්‍රාන්ස්ෆොර්මර්ස්: ප්‍රයිම්) is now airing on Derana Junior dubbed in Sinhala (native language of Sri Lanka). 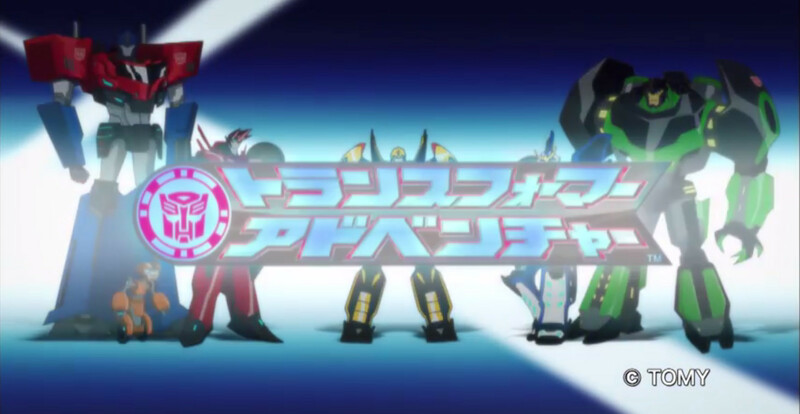 The new show marks an important milestone as it’s the first Transformers show to air after 15 years. It also becomes the first Transformers show to be dubbed in Sinhala. Transformers G1 was broadcasted in Sri Lanka back in 1993 followed by » Continue Reading. The post Transformers: Prime Animated Series To Air In Sri Lanka appeared first on Transformer World 2005 - TFW2005.COM. The official TakaraTomy YouTube channel has uploaded episode 20 of Transformers Adventure titled “Fixit’s Repairs” (フィクシットの修理). Thank you for Type-R for giving us a heads up. So enjoy the show and watch Team Bumblebee “Fly to the sky” in the Japanese episode below, then share your thoughts with us after the break. The post Transformers Adventure Episode 20 Now on YouTube appeared first on Transformer World 2005 - TFW2005.COM. 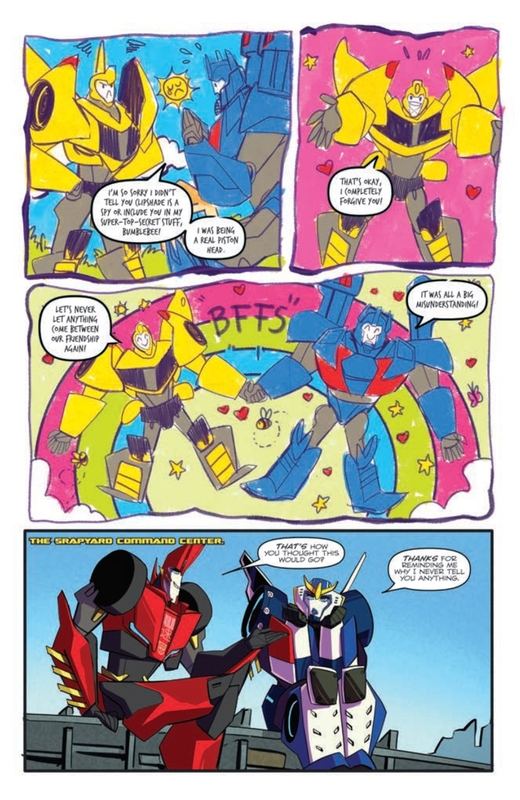 Thanks to Newsarama, we’ve got a full preview of the upcoming Robots In Disguise comic, issue #4! This issue will be releasing this week on November 11, 2015. Enjoy! The post Transformers: Robots In Disguise Issue #4 Full Preview appeared first on Transformer World 2005 - TFW2005.COM. Another one bites the dust. 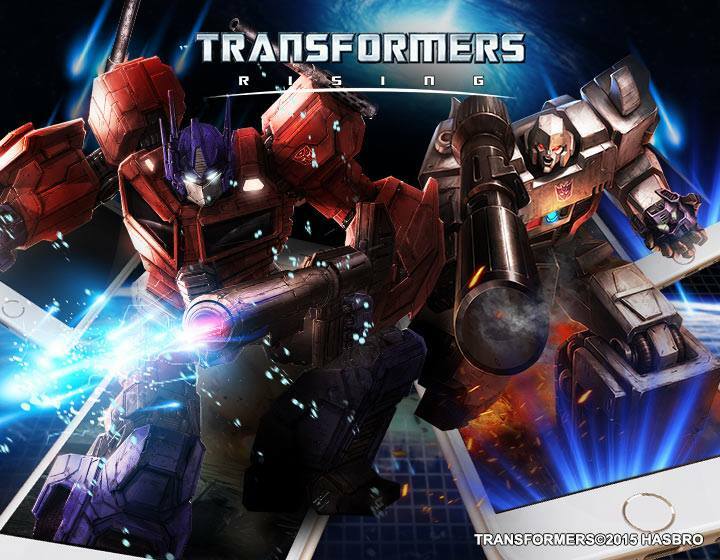 Following the closure of DeNA‘s Transformers: Legends and Transformers: Age Of Extinction mobile games back in September, Transformers: Rising mobile game will also cease all operation by the end of November this year. The announcement which was made on the official Facebook Page was quickly taken down for unknown reasons. However, a Facebook Fan Page run by a group of dedicated fans of the game was quick enough to spot and take a screenshot of the announcement. After the sunset of Transformers: Rising, Transformers: Battle Tactics will become the only remaining DeNA Transformers mobile game. » Continue Reading. The post Sunset Announced For Transformers: Rising Mobile Game appeared first on Transformer World 2005 - TFW2005.COM. 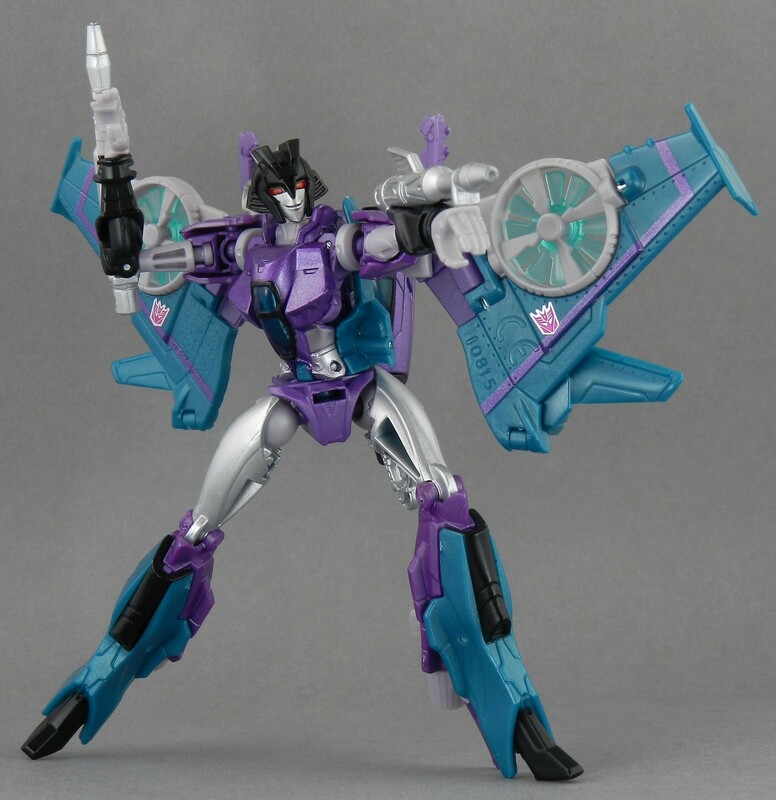 Next up in our coverage of the three villainous female Transformers that Takara-Tomy have released for their Transformers Legends line, we have a look at Slipstream! Slipstream is enjoying her first non-exclusive toy release here, as a remold of Generations Windblade. The toy features a new head and a new chest / torso, both done to resemble the standard head and body of a Decepticon Seeker. Since this is meant to represent a dimension-hopping Animated Slipstream, the inspiration comes mainly from Transformers Animated, although she’ll look more at home chilling with your armies of Classics Seekers. Slipstream also gets » Continue Reading. The post Transformers Legends Slipstream In-Hand Gallery appeared first on Transformer World 2005 - TFW2005.COM. Here is something cool from the original Transformers outing on the big screen. Via Transformers@TheMoon, we have learned of an Imgur album which contains some animation cels and backgrounds from the original Transformers the Movie, from 1986. These images cover the gamut from cels used in the movie’s animation including Rodimus running toward the camera in the finale and the reformatting of Megatron, to montages of the backgrounds from several key scenes including the battle of Autobot City. Some of the montages look to have been stuck together from several images – possibly either due to the way » Continue Reading. The post Transformers the Movie Animation Cels and Backgrounds appeared first on Transformer World 2005 - TFW2005.COM. 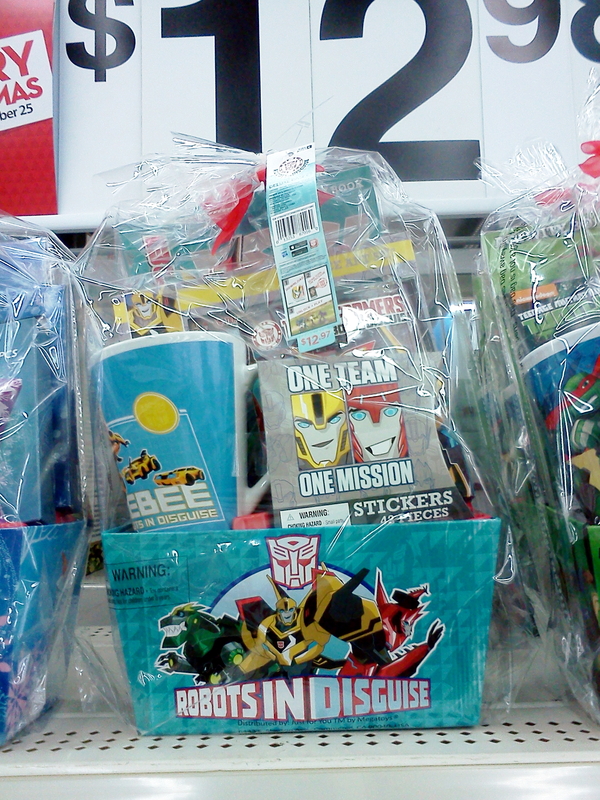 For those fans with children (or those who like to collect the non-toy Transformers merchandise) you might like to know that there are some Robots in Disguise holiday gift baskets now arriving in Walmart stores. The gift baskets include goodies such as a mug and stickers, so they’re a good stocking-filler for the young fans among us. This sighting comes from the Walmart store in Shippensburg, PA, care of TFW member Yaujta. The post Robots in Disguise Holiday Gift Baskets appeared first on Transformer World 2005 - TFW2005.COM. There’s a new Transformers Mobile Game coming down the pipeline. Transformers Earth Wars is coming soon to the App Store and Android, and looks as if it will be offering up a slice of Transformers action seasoned with some light real-time strategy / social gaming elements, in the style of Clash of Kings. 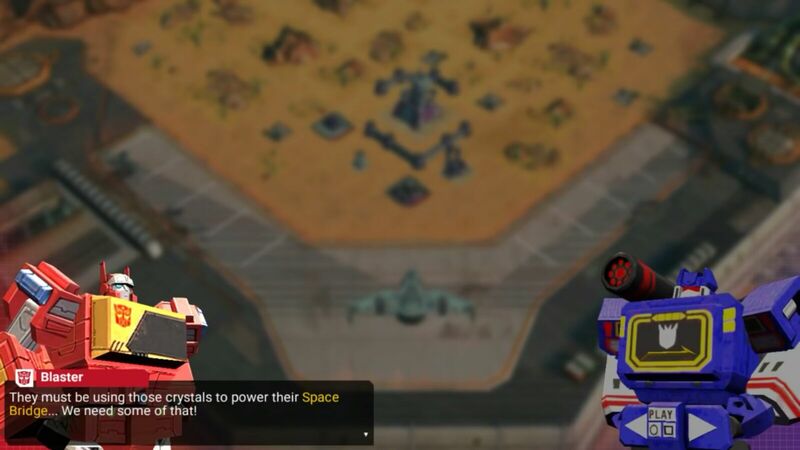 The game features two main segments – one where you build your base, and one where you take your team into battle and blow up enemy Transformers and their bases! The social element comes in where those other bases are those belonging to other players. The game » Continue Reading. The post Transformers Earth Wars Mobile Game by Backflip Studios appeared first on Transformer World 2005 - TFW2005.COM. 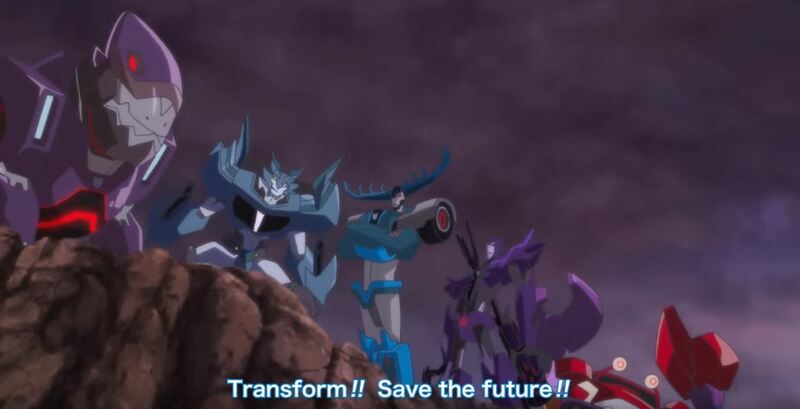 TFW2005 member Axos informs us that the Robots in Disguise mobile app has recently updated. The app, which has previously hinted at new and upcoming toys, has updated to include new characters including a Mini-con Deployer named “Crazybolt”, new Mini-Cons, and a new class called “Switchblade”. Will these translate into new toys down the line? Nothing is impossible – though it might be US Toy Fair 2016 next February before we know for sure. As always, keep it TFW for more news and updates. 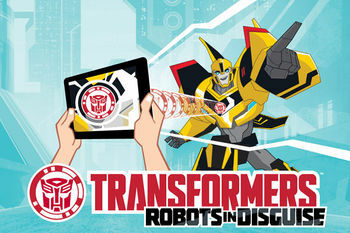 The post Robots in Disguise Mobile App Update appeared first on Transformer World 2005 - TFW2005.COM. Continuing the trend of Australian Transformers Rescue Bots DVD releases, December will see the release of another volume from Beyond Home Entertainment, which is expected to contain the final episodes of the show’s second season. Titled “Rise of the Heroes”, this DVD is expected to run for 154 minutes, which works out at seven more episodes of the show. It’s due for a release on 4 December in Australia, according to this listing on Sanity. 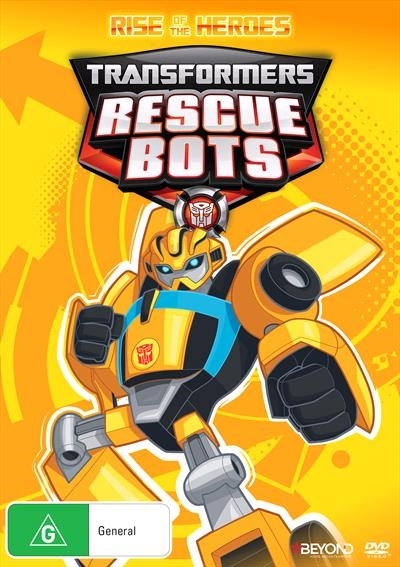 The post Rescue Bots Rise of the Heroes DVD for Australia appeared first on Transformer World 2005 - TFW2005.COM. 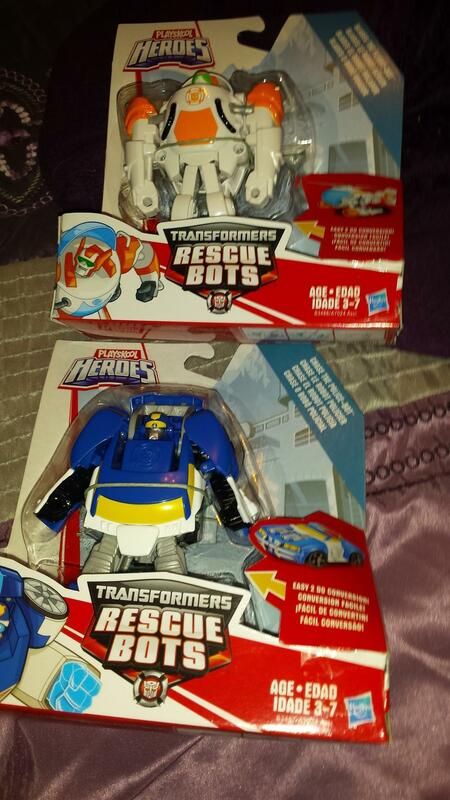 Thanks to TFW2005 member ericepy for snapping a picture of new toys of Transformers: Rescue Bots characters Chase and Blades. The new figures were spotted and purchased at a Wal-Mart on Central in Toledo in Ohio, so they may be available at a number of locations in the States. Additionally, it is reported that they were purchased for around eight U.S. dollars, which is less than the Hasbro-listed retail price of $9.99. Whether that is the price at all Wal-Marts or just certain locations remains to be seen, but either way the figures are available at retail. We also have reports that the same » Continue Reading. The post Rescue Bots Chase and Blades Out at Retail appeared first on Transformer World 2005 - TFW2005.COM.